Which cat? 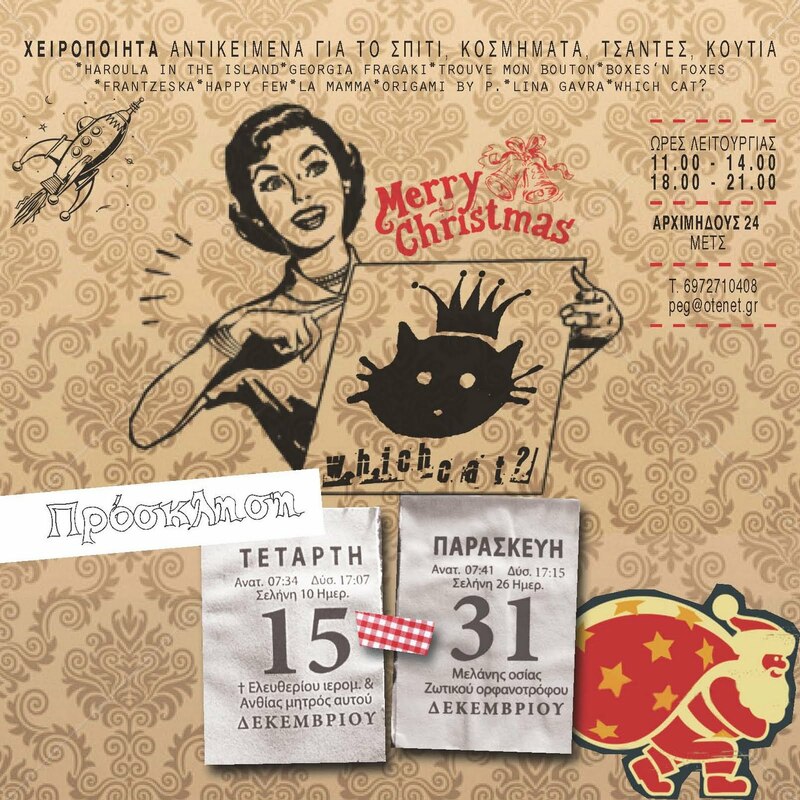 is another bazaar in Athens offering alternative options for filling your Christmas stockings. Bags, jewellery and cute stuff for the house by Haroula in the Island, Georgia Fragaki, Trouve Mon Bouton, Boxes n' Foxes, Frantzeska, Happy Few, La Mamma, Lina Gavra and Which Cat? Big shout-out to my girl Origami by P. who is half-Japanese and makes original origami art, perfect for unconventional X-mas tree decorating. Click on image for more info or see google map here. ti krima pou den meno athina gamoti..